INDUSTRY.co.id - Surabaya - Daihatsu is getting serious in the automotive business in Indonesia by actively participating in a series of automotive exhibitions at GIIAS Surabaya Auto Show 2017 on 20 - 24 September 2017 in Grand City, Surabaya. Daihatsu booth made with a comfortable concept and friendly with the nuance of the celebration of the 110th anniversary of Daihatsu with occupies an area of ​​319 m2. 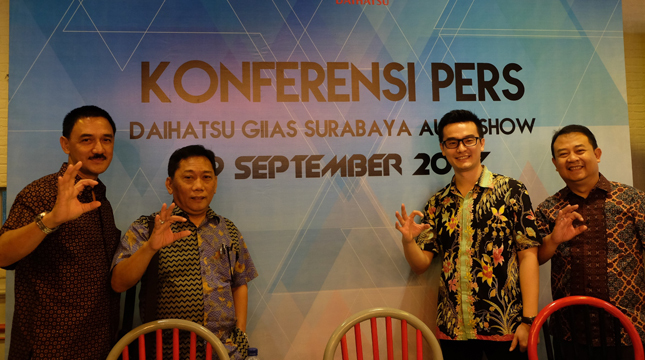 As the biggest automotive exhibition in Surabaya, GIIAS Surabaya Auto Show 2017 is also an effective means for sales of automotive products including Daihatsu. 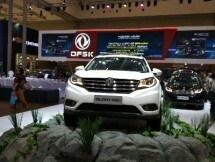 This exhibition contributed positively to the car market, especially in the city of Surabaya and surrounding areas. In this exhibition, Daihatsu presents five units, namely 2 units of New Astra Daihatsu Ayla (1.0 and 1.2), 1 unit Daihatsu Great New Xenia, 1 unit Astra Daihatsu Sigra, and 1 unit Daihatsu Terios. Not only that, Daihatsu also prepare an interesting sales program prepared for all Sahabat Daihatsu who want to make reservations during this exhibition, the installment promo starts from Rp. 1 Million / month for all types of Daihatsu cars and the opportunity to get many other interesting prizes.